[A Review of] Kathy Chamberlain's "Jane Welsh Carlyle and Her Victorian World"
Except for the first one, the illustrations here have been added from our own website. Click on them for larger pictures, and for more information. — Jacqueline Banerjee. The Duke-Edinburgh edition of the Collected Letters of Thomas and Jane Welsh Carlyle is incomplete but has already produced forty-four printed volumes. These letters and particularly those by Jane Carlyle are the major source for Kathy Chamberlain's book. It isn't unusual for letters to be an important source but it could scarcely be more fitting than for Jane Carlyle. Her ODNB entry begins "Carlyle, Jane Baillie Welsh (1801-1866), letter writer" and later says "Yet it is scarcely disputed that she is the greatest woman letter writer in English." Kathy Chamberlain doesn't go quite so far but she would broadly agree. She quotes Virginia Woolf praising her letters for "the hawk-like swoop and descent of her mind upon facts. Nothing escapes her. She sees through clear water down to the rocks at the bottom" (32). If Jane Welsh Carlyle is the greatest woman letter writer in English it seems almost certain that she will retain the accolade for all time because first the telephone and then information technology have reduced to vanishing point the number of men or women writing hundreds of letters each year. She was writing at the precise point when cheap postal rates and the railways provided new incentives to write letters. Apart from letters, she wrote very little. The seriousness with which the book takes a thirteen-page memoir essay, Much Ado About Nothing, suggests that the author would have welcomed Jane using her skills in other literary forms. A full discussion of why she wrote so little save for letters would have been interesting. Left: Street view of the Carlyles' house. Right: The Carlyles' house from the back garden. The focus of Chamberlain's book is much more unusual than its main source. This is not a conventional biography. It concentrates on 1843-49 when its subject was in her mid-forties and that has both strengths and weaknesses. A normal biography would say much more about how its subject had emerged from her family background, education and the early years of marriage. A reader unfamiliar with the person at the centre of the book would not be left frustrated and wanting to know more about her later life. On the other hand the years are well-chosen: she is active socially, they include the momentous events of 1848 across Europe and the Irish famine, Jane's response to her husband's relationship with Lady Harriet Baring is covered in depth and the best novel of her closest friend, Geraldine Jewsbury, The Half Sisters, is published. These and much more, including her management of her home and her succession of servants, could not be covered in anything like this detail in a full biography without making it unappealingly long for most readers. They will be glad to have read what this book has to offer and either read an existing conventional biography or hope that its author's next project might be a full biography of Jane Welsh Carlyle. Its readers are unlikely to want to read a book on both Carlyles because they would fear that it might be unbalanced in Thomas's favour. There were occasions when they were between servants that Jane Carlyle had to cope with all of this without help and even when there was a maid she had to take a share in the hardest physical work in order to keep the household going. She took very seriously the training of a replacement maid when one had gone. Sadly the admirable Helen, to whom Jane wrote when she was away from home and whose excessive drinking was not too disastrous during her first stint as their maid, had to go not long after returning to them because her drinking was then out of control. 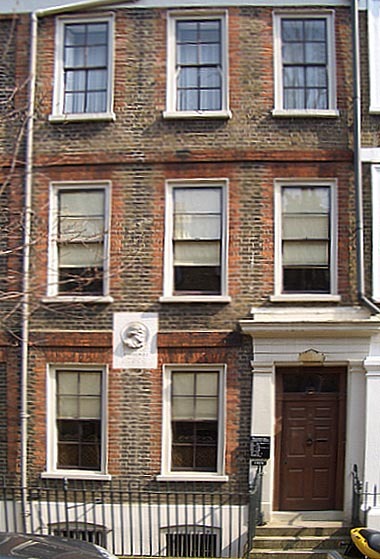 In view of the size of their London home and the low pay of servants, it is hard to understand why the Carlyles were unwilling to pay for more help even as their income became greater and more assured. 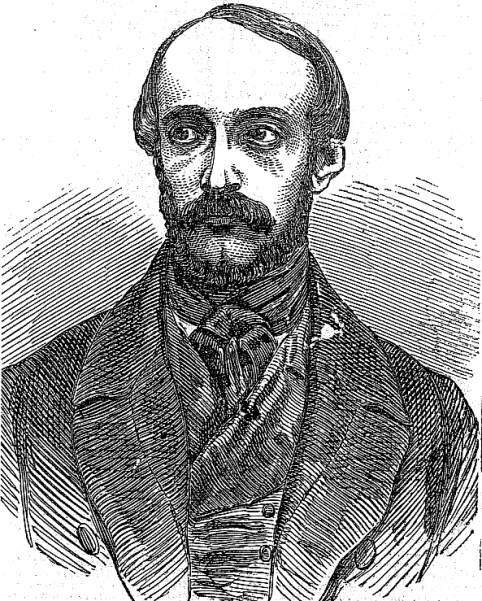 Jane Carlyle's friend Giuseppe Mazzini, in the Illustrated London News of 19 May 1849. Some of Jane Carlyle's more interesting relationships were with less celebrated people. The book deals at length with Amely Bölte and Richard Plattnauer. Amely was a well-educated but poor young woman who irritated and interested Jane Carlyle in turn. Jane helped to find her some of the better paid governess posts available in the 1840s. In one case she was dismissed by Sir James Graham, then the Home Secretary, and his wife for failing to answer adequately a question from the children as to what the Holy Ghost was like. Richard Plattnauer had bouts of serious mental illness. Jane visited him in hospital. 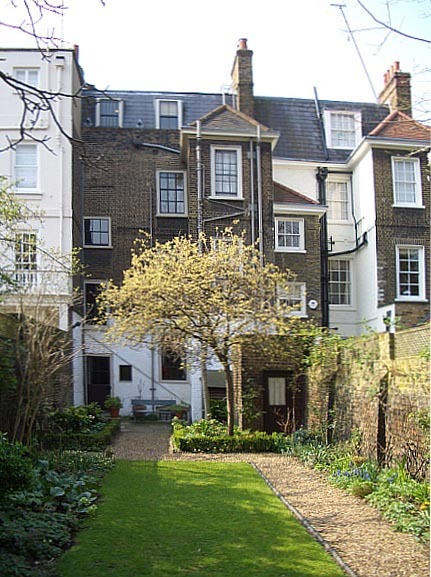 Surprisingly and to Richard's great good fortune he chanced to be taken into what must have been one of the most progressive hospitals in the field where he was in the care of Sir Alexander Morison whom, as a result, Jane got to know. 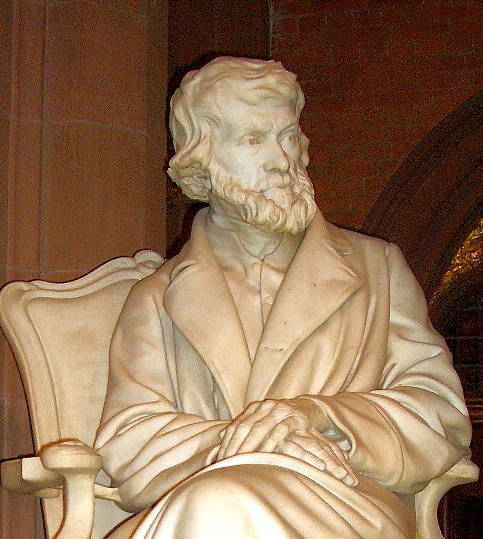 Carlyle, by the sculptor Joseph Edgar Boehm, 1881 (detail of seated statue). In the later part of the book there loom large the relationships between Thomas and Lady Harriet Baring, between Jane and Lady Harriet and the rows between Jane and Thomas as a result of Thomas's relationship with Lady Harriet which ranged through worship, love and infatuation. The reader is confused because the principals were confused. Jane almost certainly never saw the letters Thomas wrote to Harriet which had a devoted tone wholly absent from the letters he was writing to his wife at the time. There is little likelihood of a physical relationship between Thomas and Harriet partly because Thomas seems to have been very inhibited and partly because Harriet had no intention of jeopardising her prominent place in English society. But Jane could hardly have been expected to be accepting of her husband's relationship with another woman and she wasn't. To add to the complexity Jane and Harriet had a strong relationship for much of the years covered by this book, prompted in part by their interest in each other and in part by it being only possible for Thomas to stay with Harriet in the country when Harriet's husband was in London if he was accompanied by Jane. It was obviously painful and deplorable for Jane to be under pressure to facilitate the Thomas/Harriet relationship by going to the Baring country house but even that is complicated by the benefits to her health that she sometimes experienced as a result of staying in the country for weeks on end. The relationship between the Barings (later the Ashburtons when William inherited his father's title) and the Carlyles challenges any easy assumptions about the sharpness of social divides in the Victorian period based on class origins and wealth. Thomas was the son of a stonemason, admittedly a Scottish stonemason. Jane goes from hard physical labour in her Cheyne Row home, in support of her one servant, to be a guest in a house with seemingly unlimited resources. Jane gradually became socially more confident and must have surprised the Barings by going to their kitchens to teach their housekeeper how to make marmalade using "real marmalade oranges" (328) She wrote to Thomas about it in an April letter which suggests that the real oranges were available in England quite a bit later in the nineteenth century. Kathy Chamberlain touches on the physical relationship between Jane and Thomas on which, as she says, many gallons of ink were spilled decades after the 1840s. It would be odd to avoid the subject altogether and she clearly thinks it more likely than not that there was some physical relationship early in the marriage which came to an unusually early end without any ready explanation. She makes no claim to certainty and, given the lack of conclusive evidence, she must be right to give the subject relatively little space. In one sense Jane Carlyle is an obvious subject for a contemporary scholar concerned with the place of women in society but she is not without disappointment. She was far from being radical. In her discussions with Geraldine Jewsbury Geraldine voiced more progressive ideas. Jane seems to have accepted unquestioningly that all a wife's property was controlled by her husband once she married. Although a reader might sense that Kathy Chamberlain would have liked Jane Carlyle to be less conservative and tolerant she is scrupulous not to project on to Jane twenty-first century insights and values. For an English reader it would be less distracting without the American spellings and syntax and it is odd that one has to derive a bibliography from the footnotes at the end of the book. These are trivial comments about a book that can fairly claim to be about "Her Victorian World" as well as about Jane Welsh Carlyle herself. It is a fine achievement and worthy of a fascinating subject. Chamberlain, Kathy. 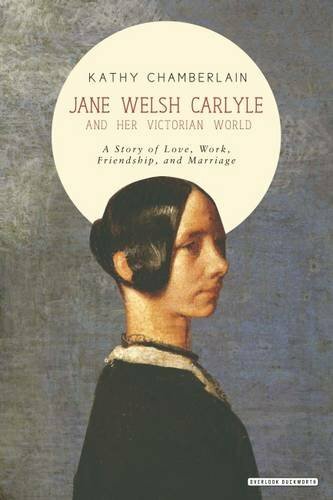 Jane Welsh Carlyle and Her Victorian World: A Story of Love, Work, Marriage, and Friendship. London: Duckworth Overlook, 2017. Hardcover. 400pp. £19.99. ISBN: 978-0715651650.